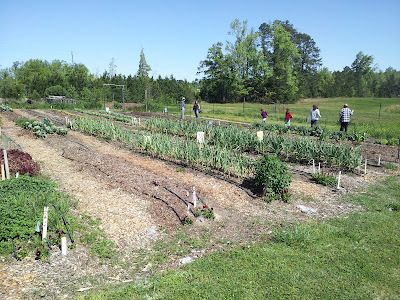 Saturday morning I went up to the Simple Gifts Community Garden in Apex to volunteer. I arrived right at the same time as Sandra, who was the scheduled "attendant" for the day. Sandra kindly gave me a tour of the garden. It was a very nice, large layout consisting of numerous raised rows, all protected by nice tall deer fencing. The garden itself was probably bigger than my entire yard! They were plumbed into the pond on the property for drip irrigation, and the crops in place were looking pretty good. I want to say about 10-12 people showed up to do various items from the list. 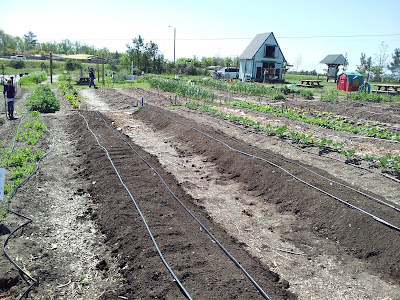 I helped put up a couple of pea trellises, weeded a row of peas that needed weeding, and helped amend, turn, and widen an empty row to make it ready for an upcoming planting. I met some nice people and enjoyed getting a little dirty and spending some time out in the garden. 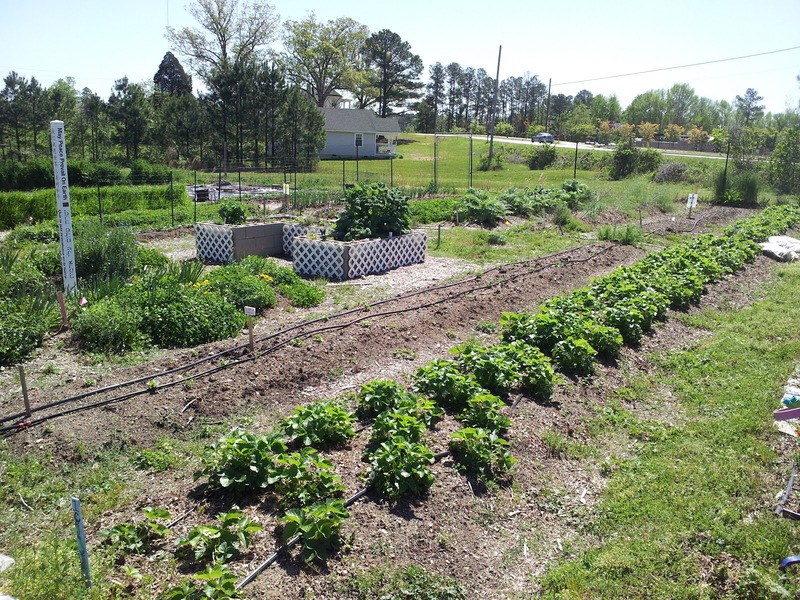 My own garden isn't quite big enough to really require significant amounts of work, so I can get my fix this way! It was an enjoyable experience, and I'll be heading back on a regular basis! Two rows, ready for something! Newly widened and amended with compost. The row of strawberries really looks fantastic!